Do you like observing bugs but hate to touch them? Does the thought of touching a creepy crawly send shivers up and down your spine? This bug vacuum takes the icky out of bug catching and observing! 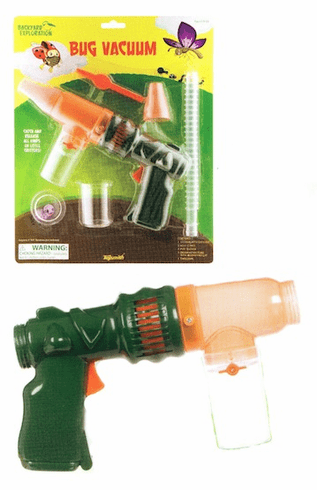 Set includes trigger-activated bug vacuum, two nose cones, one pipe sucker, one observation tube with magnifying lid and a pair of twwezers. Requires four AA batteries (not included). Start your non-icky buggy adventure today!